What I’m using and how I’m using it. 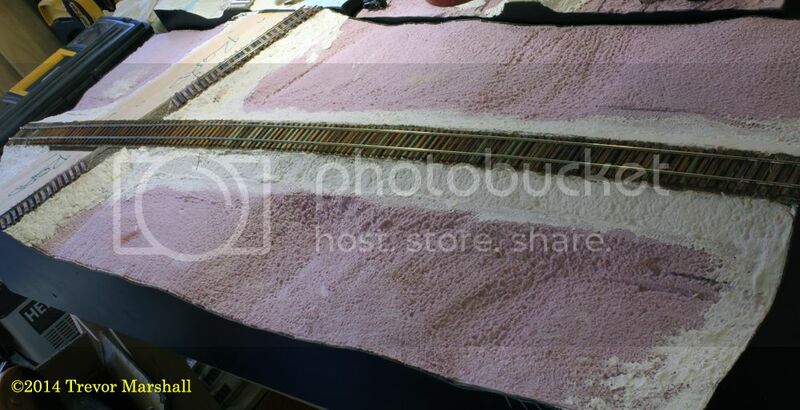 I spent a few hours today in the workshop, spiking rails on the Free-mo-style modules I’m building for the S Scale Workshop, and documenting for TrainMasters TV. 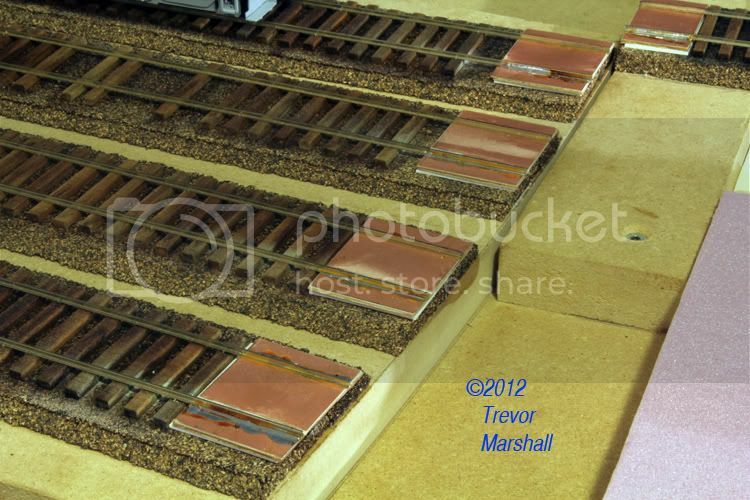 The lead photo shows one of the two four-foot long sections that make up the core of the Division Street module. Today, I spiked both sections of Division Street – every second or third tie. I’m feeling a little cross-eyed right now and my plier-wielding hand is feeling pretty angry. 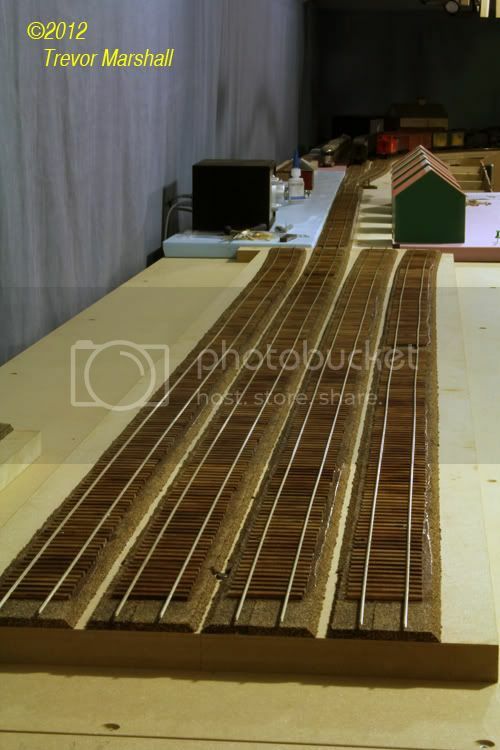 But I’m pleased that I’m almost halfway there: Between the two modules, I have 21 feet of track to spike, and I’ve done about 9 feet so far. I added the interurban as a way to demonstrate some more heavily weathered ties. 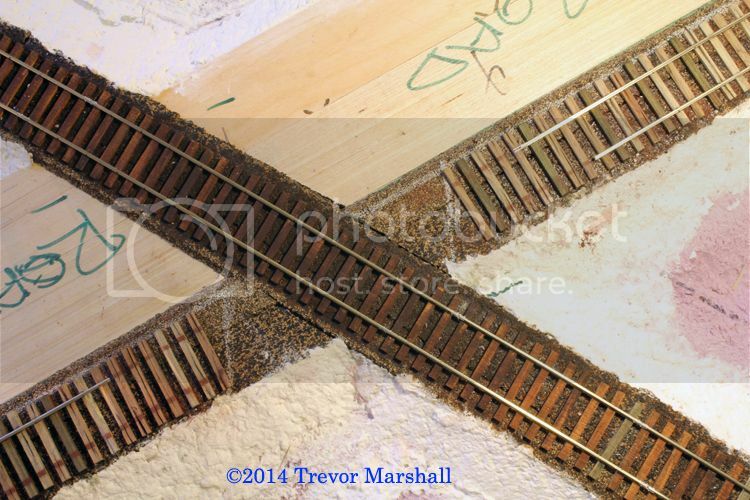 I’ve even added rust streaks to the tops of the ties where the rails used to be, by masking the ties and then brushing them with rust-coloured weathering powder. I’m pleased with the effect. 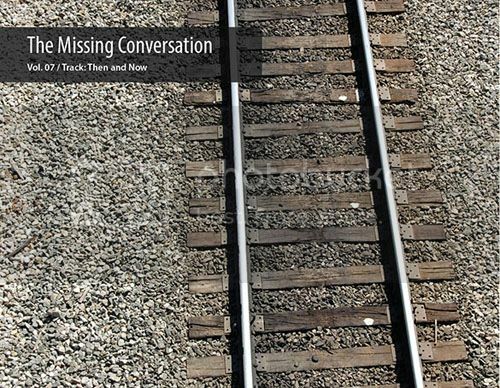 I was delighted to be asked by Mike Cougill to contribute a feature about modelling branch line track to The Missing Conversation – Mike’s quarterly, digital publication that encourages a fine scale, craftsman approach to the hobby. As Mike notes, this is not a rehash of Detailing Track, the excellent book he produced (which is still available). 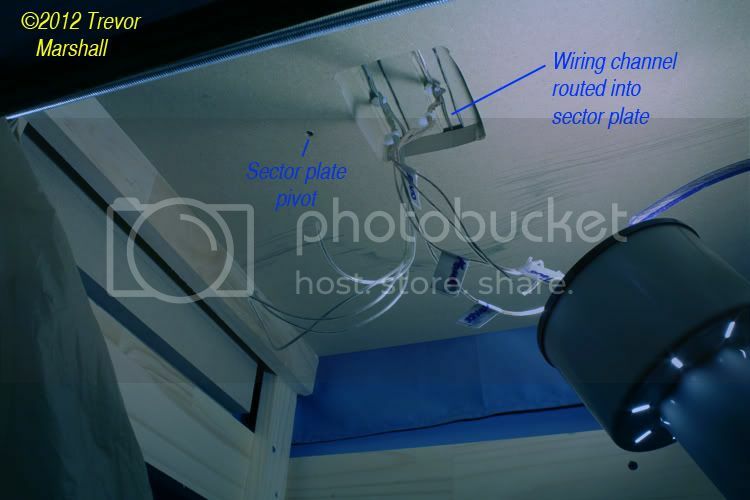 Neither does my feature simply rehash the material I’ve presented on this blog: I took all new pictures, and wrote a fresh story with – I think – many ideas I haven’t covered here previously. If you buy a copy, I hope you enjoy it. Mike’s philosophy – one which which I am in complete agreement – is that this hobby is worth doing well. It’s worth pushing one’s limits and trying new things. It’s worth being inspired by – and striving for – excellence, even if that means going back and redoing portions of one’s work that are no longer the best one can do. I’m enjoying The Missing Conversation and look forward to each new issue. There’s no question: Model railways are only fun if the trains run – and run reliably. 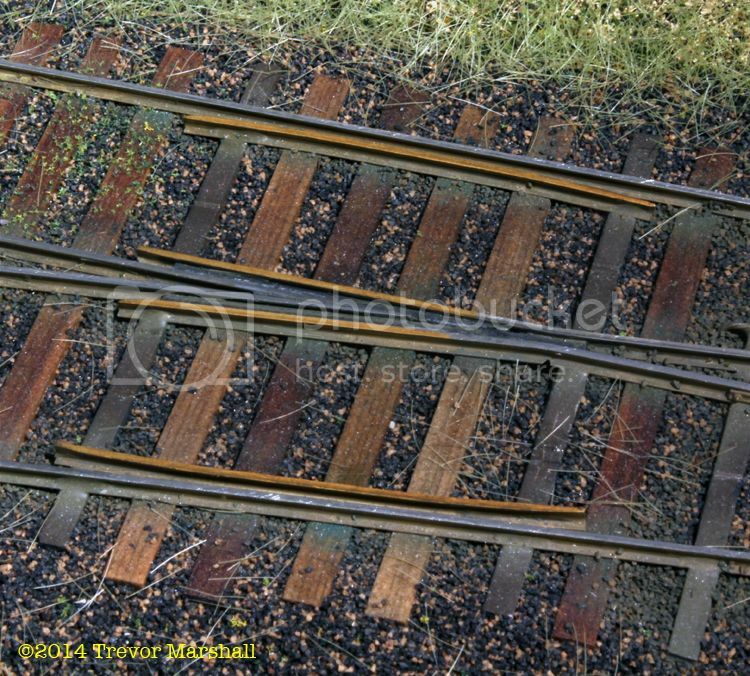 And unless one is using a battery-power system, reliable running depends on excellent electrical contact between rails and wheels. Over the years, modellers have tried many things to improve the electrical path – from additional wipers on locomotives, to hair clipper oil, to special circuits designed to burn away non-conductive contaminants. The one that works for me is the above graphite stick (of 2B hardness), purchased from an art supply store more than a decade ago. I learned about applying graphite to the rails from a local modeller. Brian Fayle is best known in these parts for his figure-painting techniques (which I also use). But while talking at a train show he mentioned that rubbing graphite on the rails improves electrical performance and – since I was working in On2 at the time, and suffering from terrible performance, I decided to give it a try. What a difference! I’ve been a convert ever since. 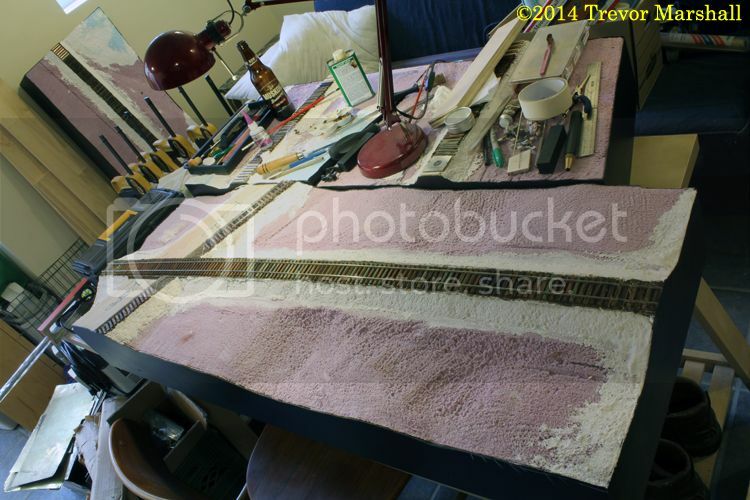 After painting the rails, I clean the tops of paint with various tools – anything from a piece of strip wood dipped in thinner to a fine emery board. Then, I simply rub the graphite stick over the top. (Be careful around switch points – you don’t want to catch one with the graphite stick and tear it off the head rod.) It can be rubbed flat or used on end: Look at the above photo again and you’ll notice a notch at the left end of the stick, which I’ve worn into the stick while dressing the rails. 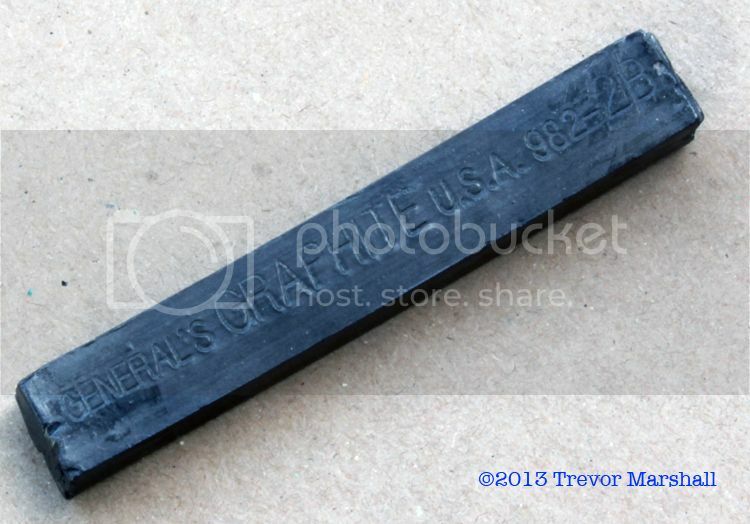 Applying graphite to the rails is a popular solution amongst modellers in the UK. To read more about using graphite and other methods of fighting dirty rails, I recommend a presentation by Mike Walton. 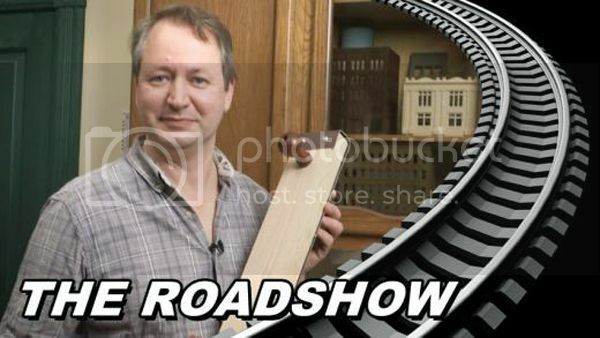 He’s a member of The Platelayers Society, a local group for fans of UK modelling, and he did an excellent presentation at one of their gatherings. The slides from that presentation are online as a PDF called Go With The Flow. 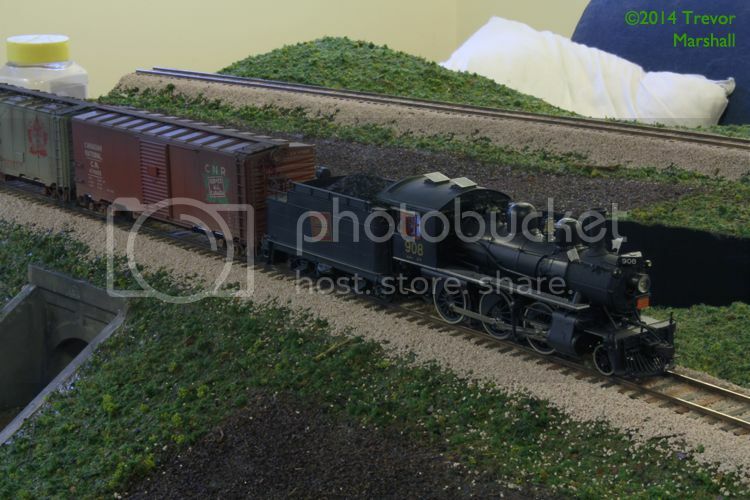 This morning was cold – but it’s only going to get colder – so I loaded up the airbrush, turned off the furnace, opened windows, started up ceiling fans, and finished spray-painting the rails on the layout. Then I took the dogs for a long walk while the place aired out. By the time we got home, the rails were (appropriately enough) a nice Rail Brown. 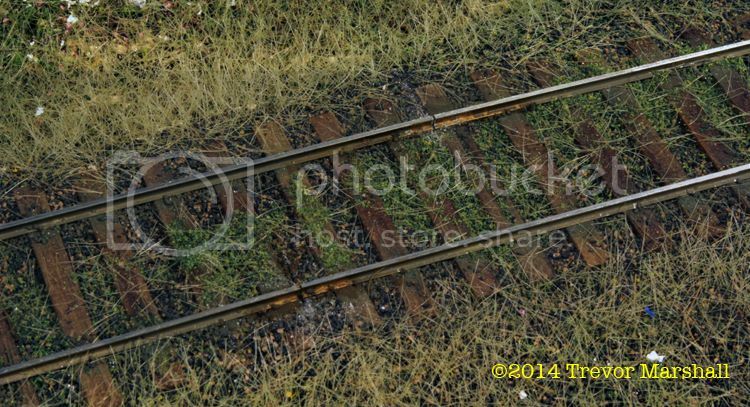 Previously, I had painted all the rails from end of track in Port Rowan to the water tank in the Lynn Valley. Today I airbrushed the rails through the valley and through St. Williams to staging. I’ll leave the rails in staging unpainted. 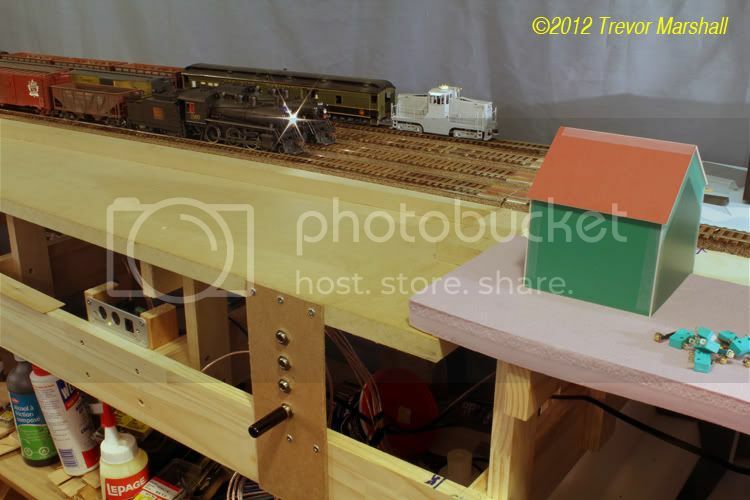 Later today, I’ll clean off the tops of the rails and test everything to make sure the trains still run reliably. 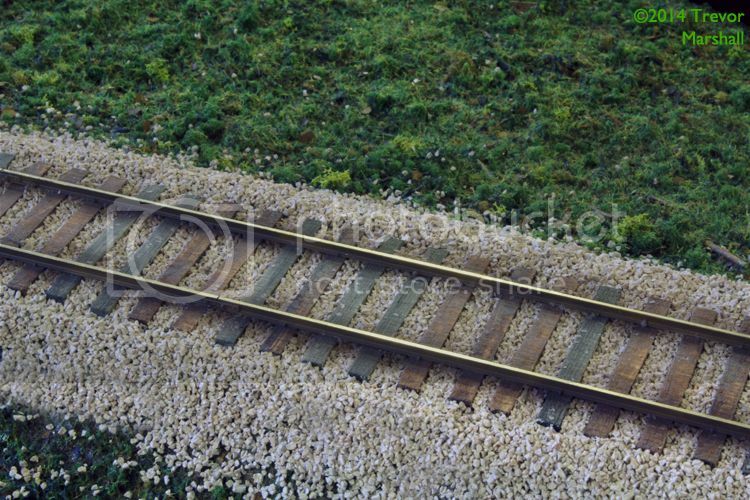 With that done, I can finish planting static grass around the track.